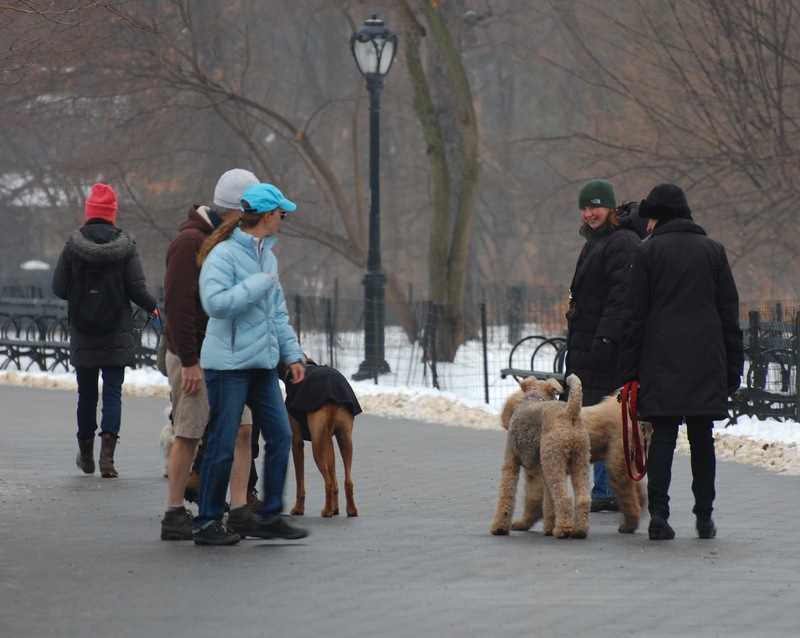 Central Park has a few different subspecies of dog people. These are the Before-Work Dog Owners, who wield lattes and fancy throw toys. There are others, like the Non Dog-Owning Groupees, who carry dog treats and talk to dogs they meet (instead of their owners). 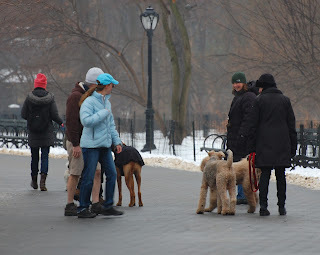 Then the Commercial Dog Walkers appear later in the day, with extravagant leash mechanisms to restrain their fleet of six or eight canines. They have little tolerance for Groupees.